The largest U.S. public pension fund intends to sever ties with roughly half of the firms handling its money, one of the most aggressive industry moves yet to reduce fees paid to Wall Street investment managers. The California Public Employees’ Retirement System, or Calpers, will tell its investment board on June 15 of its plans to reduce the number of direct relationships it has with private-equity, real-estate and other external funds to about 100 from 212, said Chief Investment Officer Ted Eliopoulos. The action will be made public on Monday. The dramatic move by the $305 billion Sacramento-based retirement system will create some big winners and losers in the investing world. The list of external money managers Calpers uses include some of the biggest names on Wall Street, including private-equity firms Carlyle Group LP, KKR & Co. and Blackstone Group LP. The push by Calpers to downsize could have broader ramifications beyond its own portfolio. 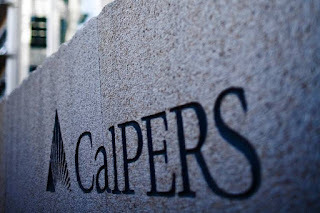 Calpers is considered an industry bellwether because of its size and history as an early adopter of alternatives to stocks and bonds, and the shift could prompt other U.S. pensions to scale back their ties to Wall Street. “There really will be a significant amount of discussion at other pensions” about whether they should cut external managers in the wake of Calpers’s decision, said Allan Emkin, a managing director at Pension Consulting Alliance who has advised the fund since the 1980s. The pullback would take place over the next five years and is expected to save Calpers hundreds of millions of dollars in management fees. It paid $1.6 billion to external managers last year. The reduction in outside managers won’t fundamentally change Calpers’s investment strategy, or the percentage of assets managed in-house versus externally. The remaining 100 or so outside managers will simply get a bigger pool of funds varying from $350 million to more than $1 billion, Mr. Eliopoulos added. The 50-year-old Mr. Eliopoulos became the pension fund’s top investment official last September after helping Calpers recover from severe losses sustained during the 2008 financial crisis as head of its real-estate portfolio. His first major move as chief was to shed a $4 billion investment in hedge funds, part of a movement to simplify the approach of a fund that in recent decades loaded up on assets such as real estate, private equity and commodities. Fees paid to outside managers have ballooned over the past decade as many public retirement systems followed Calpers into hedge funds and private equity in an attempt to boost long-term returns and meet their mounting obligations to retirees. But now some pension officials are tiring of the high expenses often charged by outside managers as state and local governments struggle to make up for losses incurred during the financial crisis. Many U.S. pensions, including Calpers, still don’t have enough assets to cover their future costs despite a run-up in the stock market in recent years. “Fees are becoming an increasingly scrutinized area at public pensions,” said Jean-Pierre Aubry, an assistant director at the Center for Retirement Research at Boston College. In New York City, outside money-management expenses are under review after an April report from Comptroller Scott M. Stringer said external investment firms have cost the city’s local retirement systems billions in the past decade. A similar discussion is under way in New Jersey, where state pensions have paid out $1.5 billion in fees over the past five years, according to a recent report presented to the state Senate last Thursday. California’s proposed reduction in outside managers is part of a larger effort to reduce risk and complexity at a fund that manages investments and benefits for 1.7 million current and retired workers. Calpers posted a total return of 18.4% for its most recent fiscal year ended June 30, beating its benchmark, but it only has enough assets to cover 77% of its future retirement payouts. 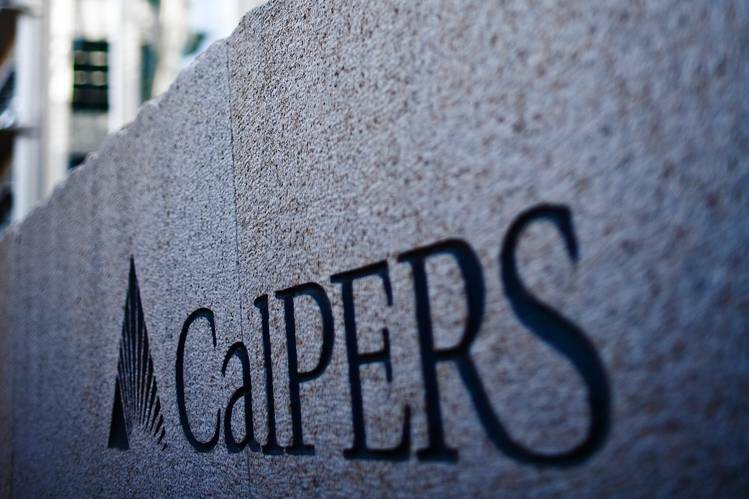 As recently as 2007, Calpers had about 300 external managers—a remnant of its pioneering foray into alternative investments such as real estate, hedge funds and private equity. Over the past eight years, it reduced that number to 212, but it is still difficult for the pension fund to effectively monitor all of its investments, according to Mr. Eliopoulos. There are so many outside managers currently that Calpers doesn’t have the ability to make sure all those funds share the same objectives as the large California pension fund and are performing well, according to Calpers Chief Operating Investment Officer Wylie Tollette. “We need to do a better job of keeping track of how those managers evolve, what strategies they’re good at, what they may not be good at to ensure they’re effectively earning their place at the table every year,” said Mr. Tollette, who currently gives Calpers a “B-minus” at doing those tasks. “For an organization like Calpers we need to be an A, if not an A-plus,” Mr. Tollette said. As a measure of overall assets, Calpers currently pays about 0.34% toward management fees, Mr. Tollette said. In 2014, the $1.6 billion spent on those expenses included a one-time incentive payment of $400 million to real-estate funds. Mr. Tollette said that by 2020 he would like to see the amount drop “below” 0.25% of total assets, excluding performance fees. External funds charge management fees, plus a share of the investing profits. Calpers doesn’t expect to immediately terminate outside firms or liquidate holdings, according to Mr. Eliopoulos, who pushed for the hedge-fund decision as well as the move to whittle the number of external funds. The fund’s evaluation of external managers is expected to begin next month. Calpers will consider investing performance, the length of the relationship and strategy, among other factors, Mr. Eliopoulos said. The biggest cuts are expected to occur in Calpers’s private-equity portfolio, where the number of private-equity managers will slim to about 30 from roughly 100. 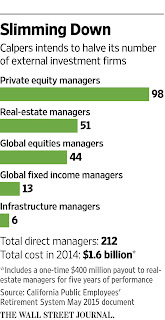 Real estate will go to 15 outside managers from 51. 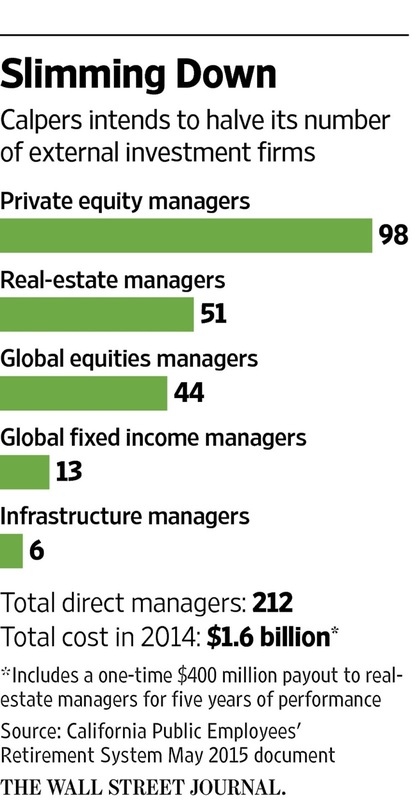 Fixed income and global equity, which is largely managed in-house, will drop to roughly 30 from nearly 60 now. Only the group that invests in timber and infrastructure projects like roadways is expected to rise, from about six managers to 10. Some 15 slots will go to upstart firms that Calpers plans to identify over the next several years. Mr. Eliopoulos said the staff discussed a reduction higher or lower than roughly 100 but decided to land on a whole number. “There’s no science to this. This is a judgment,” he said. In September 2014, CalPERS dropped a hedge fund bomb, effectively nuking its allocation to external hedge funds. Now, the giant U.S. pension fund everyone loves to track has struck fear in PE firms, announcing a major reduction in the number of external money managers handling its private equity and real investments. What do I think about this latest move? It's about time! CalPERS' private equity portfolio in particular was so messed up, giving money to pretty much anyone with a pulse, that it was delivering median returns and effectively became a benchmark for the private equity industry. But when you're investing in illiquid alternatives, paying top fees to overpaid and over-glorified private equity gurus, you don't want benchmark/ median returns. 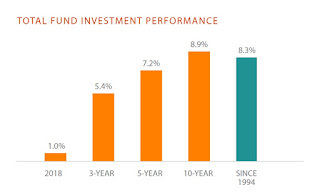 You want top decile returns or don't bother investing in this asset class (stick to indexing your portfolio to the S&P 500). The guy in charge of CalPERS' private equity portfolio, Réal Desrochers, knows this all too well. 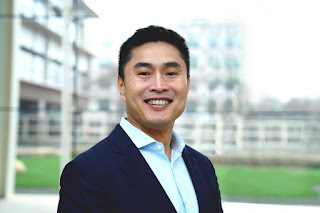 He's been slowly revamping the portfolio over the last few years, mulling over its benchmark, and has a simple philosophy: give bigger allocations to fewer top managers and squeeze them hard on fees and performance. That is one approach. 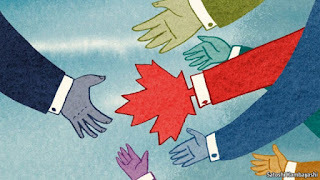 In Canada, our large public pensions prefer doing a lot more direct deals and co-investments, paying no fees whatsoever. They still invest in top private equity funds to get co-investments, but the focus is more on direct deals. Of course, to do this, you need to get the governance right, pay your staff appropriately, and operate at arms-length from the government, something that U.S. public pension funds haven't figured out yet. Pension-fund managers from the Netherlands to Canada, searching for new ways to invest, lambasted private-equity executives at a conference in Paris this week for charging excessive fees. Ruulke Bagijn, chief investment officer for private markets at Dutch pension manager PGGM, said a Dutch pension fund for nurses and social workers that she invests for paid more than €400 million (about $500 million) to private-equity firms in 2013. The amount accounted for half the fees paid by the PFZW pension fund, even though private-equity firms managed just 6% of its assets last year, she said. “That is something we have to think about,” Ms. Bagijn said. The world’s largest investors, including pension funds and sovereign-wealth funds, are seeking new ways to invest in private equity to avoid the supersize fees. Some investors are buying companies and assets directly. Others are making more of their own decisions about which funds to invest in, rather than giving money to fund-of-fund managers. Big investors are also demanding to invest alongside private-equity funds to avoid paying fees. 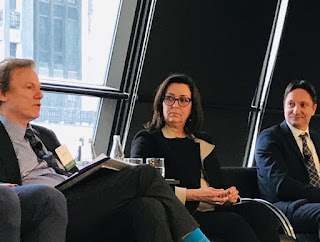 Jane Rowe, the head of private equity at Ontario Teachers’ Pension Plan, which manages 141 billion Canadian dollars (US$124.4 billion), is buying more companies directly rather than just through private-equity funds. The plan invests with private-equity firms including Silver Lake Partners LP and Permira LP, according to its annual report. Ms. Rowe told executives gathered in a hotel near Place Vendome in central Paris that she is motivated to make money to improve the retirement security of Canadian teachers rather than simply for herself and her partners. The comments mark a strong public show of discontent and suggest efforts to tackle high fees paid to private equity are building. Ms. Rowe was in part responding to private-equity executives such as Carlyle Group co-founder David Rubenstein, who warned that investors who do more acquisitions themselves rather than through private-equity funds will have to pay big salaries to hire and retain talented deal makers. As an illustration of the challenge public institutions face in justifying high salaries, Harvard University finance Prof. Josh Lerner showed a photograph of a student protest against inequality. A Harvard student holds up a placard with the numbers “180-1,” which is the ratio between the highest and lowest paid staff at the university, he said. The “1” is a janitor and the “180” is an executive at Harvard Management Co., which invests the university’s endowment, Prof. Lerner said. Mr. Rubenstein is right, very few places understand the principle of paying for performance. And in response to investors' outcries on fees, private equity is trying to emulate Warren Buffett, but I'm afraid many investors will get cooked in this asset class and other illiquid alternatives in the next few years. They should all heed the warning of Ontario Teachers' CEO, Ron Mock, who knows a thing or two about the liquidity time bomb and managing assets in volatile times. Getting back to CalPERS, I think Ted Eliopoulos, its CIO, is doing a great job redirecting the assets of this giant supertanker, and I'm not just saying this because of his Greek heritage. He is listening to his senior managers, especially Real Desrochers, and taking some bold steps to solidify and streamline CalPERS' investment approach. As we’ve mentioned, many of the fees and costs that private equity investors bear are hidden from them by virtue of being shifted to the portfolio companies. For instance, private equity firms charge what Oxford professor Ludovic Phalippou has called “money for nothing” or “monitoring fees”. Many also charge “transaction fees” on top of the large fees they pay to investment bankers for buying and selling companies. The reason that those charges are opaque to private equity limited partners is that they have no right to see the books and records of the investee companies. But surely limited partners like private equity investor heavyweight CalPERS know what they are paying in contractually specified fees, namely the annual management fee and the so-called carried interest fee, which is a profit share (usually 20%) which usually kicks in after a hurdle rate has been met (historically, 8%), right? Think again. Private equity firms simply remit whatever they realize upon the sale of a company, net all those lovely fees and expenses (which include hefty legal fees) and any carry fee they think they think they are entitled to take. Put it this way: if you were selling your house, would you hire a firm to provide a turnkey service (spruce up the house, negotiate the sale with a buyer, and take care of all the closing costs) and not demand an accounting of the gross price and what was deducted to arrive at your net proceeds? Yet it’s standard practice all across the industry for private equity investors simply to receive distributions with no explanation at all. See the discussion from the investment committee section of the CalPERS board meeting. The presentation on cost management starts at 1 hour 55 minutes, and the section on carried interest begins at 2 hours 6 minutes, and the CalPERS staff member making the presentation is Wylie Tollette, Chief Operating Investment Officer. 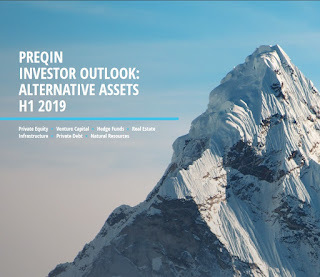 I'll let you read the rest of Yves Smith's critical comment here but clearly there is a need to reduce the number of external managers in private equity and improve the reporting of all fees in this portfolio. As always, I welcome any feedback you have on this topic and remember, I'm not charging you 2&20 for my insights, which are devastatingly good and honest, so get to it and donate or subscribe using PayPal at the top right-hand side of this blog (that includes some people mentioned in this comment). Below, have a look at CalPERS' investment committee meeting from April 27, 2015. Take the time to listen to all of it. The presentation on cost management starts at 1 hour 55 minutes, and the section on carried interest begins at 2 hours 6 minutes, and the CalPERS staff member making the presentation is Wylie Tollette, Chief Operating Investment Officer. I look forward to the next board meeting (see agenda here) and commend CalPERS on good governance in terms of communication and providing televised proceedings of their committees, which is something all public pension funds, including ours in Canada, should be doing.